Charlotte “Charlie” Donovan knows exactly what she wants for Christmas: Teo Ortiz. He’s a star athlete, a National Honor Society member, and the most popular guy in school. Plus he contributes to the school paper, where Charlie is a co-editor. Basically, he’s exactly the type of guy Charlie’s looking for. The only problem is—he barely knows she exists. Shani Petroff’s newest young adult comedy of errors, My New Crush Gave to Me, is the perfect read for those searching for some love and laughter along with their holiday spirit. Ahh this book was so cute! I could tell what the ending would be — it was a little predictable, but that didn’t stop me from enjoying this book at all. I really loved the writing style and the characters. Charlie reminded me a little bit of myself. She’s someone who likes to have control of things, and she likes having a plan. It’s something that causes a lot of problems for her with people outside of her friend group, and even those in it. I love how her character grows throughout the novel. She learns how to compromise better and truly begins to listen to others and their opinions. J. D. and Morgan were easily two characters that complimented Charlie’s well. They give her balance and depth that wouldn’t be there if there weren’t characters who didn’t understand her. I was so jealous of Morgan’s baking ability the whole book! She has some mad talent that I wish I had. Not only does she make things like cookies and cupcakes, she makes donuts and other cool desserts like that. The plot, while predictable, was good. I liked the whole set up and the idea of a Secret Santa to win over your crush. I have never been this creative in an attempt to win someone over. All in all, I highly recommend this one. It’s the perfect book to get you in the spirit of the holidays. I’m not sure how to feel about this book still, but I will give you some thoughts I have on it thus far. Ruth was probably my favorite of all the characters. She starts off shy and sheds it throughout the book to become someone new. I wasn’t a big fan of Lucy. She made terrible decisions, and I couldn’t relate to her well. The plot is a slow burn. It has some action, but not a lot of it. Overall, this was a decent read. Hey guys! I’m here to celebrate the release of this super cool retelling of Twelve Dancing Princesses — The Midnight Dance! 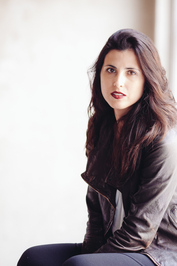 Nikki Katz is an author and editor living in sunny San Diego with her three children. With a BS in aerospace engineering, Nikki first put her writing skills to use publishing four nonfiction books. 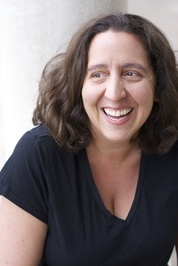 She moved on to writing young adult fiction, her favorite genre to read as well. 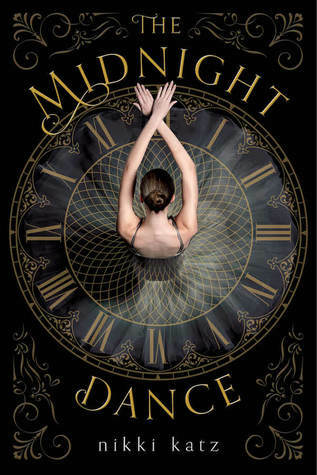 TheMidnight Dance is her debut novel. Get ready for a book with a few Gothic elements that definitely reminded me of Phantom of the Opera mixed with 12 Dancing Princesses. I do have to say that I love retellings! Penny is an interesting and dynamic character. She is a bit naive to begin with, but as the story continues we see her develop into someone who I found myself rooting for. She’s someone who makes mistakes, and sometimes those cause a lot of trouble for her, but it’s relatable in the sense that we all do regrettable things. The Master gave me Phantom vibes especially with his large air of mystery and the kind of attention he attracts. While he’s more of a visible character in the setting of the story, he still calls for the sort of weird obsession that people have with the Phantom. That’s not to say that he’s a bad character – he invokes the curiosity needed and is cloaked in an air of austerity. The plot is a bit slower at the beginning and it took me a few chapters to really get into it, but once you get to more of the intrigue and mystery things start to really pick up. Hello lovely people! John Green’s long awaited return to the book world is finally here, and I’m here with my 2 cents to throw in, especially since I will be interviewing this AWESOME man very soon for Justine Magazine!!!!!!!!!!!!!!!!!!!!!!!!!!!!!!!!! 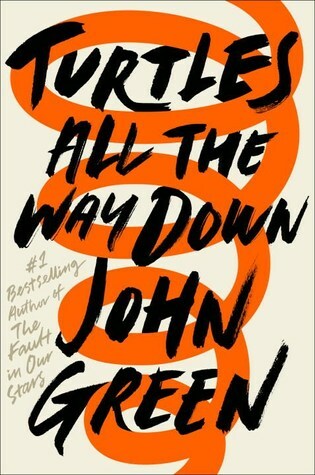 YES, YOU READ THAT CORRECTLY, IN A FEW DAYS I WILL BE INTERVIEWING JOHN GREEN! My feelings hurt and I’m not okay but also I’m okay because I LOVE this book so much. I feel so much right now and it’s a lot to unpack that I simply don’t have time for right now. So many things to feel, and it’s only Tuesday. Say what you will about JG, but 5 years does a lot for a writer and this book is proof. Give Aza a chance. Give him a chance. Even a day after reading this book, I cannot fully create coherent sentences around this, however I will do my best to try. Aza is a deep, well developed character. She breaks the third wall and speaks to the reader, however it seems that while she may be addressing the reader she may just be addressing her self. It may seem a bit confusing from my previous statement, but I promise once you read it you’ll understand what I’m saying. This story isn’t about Aza championing her mental health issues. It’s about how she struggles to live with it and still have a successful life and healthy relationships with other people. While there are few people that she feels that she can trust about these, Daisy is her best, and most loyal friend. It captures how Aza’s spirals affect the way she relates to people around her, and the difficulties that arise because she can become so trapped inside her mind. While I cannot speak to the truth of this experience, I know that due to the personal nature of the book to John Green, it is. It’s full of existential crises, and I like that aspect. I feel as though JG and Aza took a peek into my brain to extract some thoughts, and that made it all the more personal. Despite my age, I have had several instances where I wonder who is truly in control, and debate free will vs. destiny. I follow some of Aza’s thought spirals, and seeing that I’m not alone in it gives me a sort of comfort. Going into my first reading of this book I didn’t even know much of a description. It wasn’t until I got into the first three chapters that it was about a mystery. I liked that element. In an interview with Time, I read that it was important to JG that he show that not all obsessive compulsions result in someone who can intensely focus their energies to detective work. I thought it fascinating that he chose to tell this story in that way, and I think it does nothing but enhance the quality of it. The literary and pop culture references throughout the book are phenomenal and well placed. They bring in clarity to characters like Davis and Aza that would not have been there otherwise. They speak a lot on the way that the two of them think — the similarities and differences. One of the ways that Davis and Aza relate to each other is through their existential and random but deep discussions on life. It reminded me of some of the friendships in my life where we sit and contemplate things in silence sometimes, and often share our thoughts with each other. I cannot stress the importance of reading this book and books like it. I recommend it to everyone who loves to get their nose stuck between the pages (or want to get back into reading!). Hello there! Happy Sunday 🙂 This is coming to you a little later because I had my first regatta today! It was rainy and cold, but we did well for the circumstances. 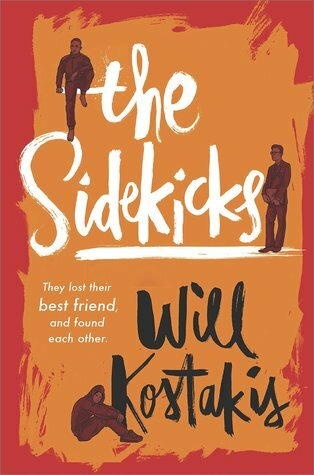 Today I’m here to talk about The Sidekicks by Will Kostakis. This book has been released in Australia, the author’s country, but is set to release in America this coming Tuesday. *This ARC was sent to me for an honest review by the publisher. Huge thanks to Harlequin Teen! I loved the voice in this book so much. Miles was probably my favorite narrative of the three. His voice was the strongest, and his grief — all of their grief — was so genuine. I felt the most connection with Miles, though. The three points of view were a little choppy. I wish the set up of the book alternated POVs every three chapters so we kept moving forward in the story than going back with each change. It would have been cool to see them cope and come together in real time too. I loved the dynamic between the three of these guys. They were genuine and found a way to be there for each other when it mattered the most. However, it was hard to truly connect with any of them and get a real feel for their friendship due to the structure of the book. I truly wish it had been reorganized. I also didn’t quite like how there weren’t any chapters in the three sections. Overall, I enjoyed this book. Harley’s POV was my least favorite due to its choppiness, but the first and last parts were best. Hi! If you haven’t read this book, I highly recommend you do 🙂 This book is something that I look to as an excellent example of great representation done well. I absolutely loved this book. Desi was so relatable, and she reminded me of myself. This is a cute, quick read that is perfect to pull you up for a pick-me-up. One of the best parts of this book was Desi’s resilience. She is persistent, and that is something I find admirable. While she is very much a planner (and doesn’t like surprises), she is quick to adjust her plans and reconfigure the way she approaches problems. The way Korean culture is intertwined in this book was phenomenal. I really liked that it was part of the book, but it wasn’t the whole point of the book. It gives the book diversity that is genuine, and definitely inspired me to make my own ramen at home! After reading this I really wanted to start watching K-dramas, so if you’ve watched any before comment your suggestions! Desi’s friends are equally as great. They are very supportive of Desi, and defend her till the end. They understand her need to have steps to follow, and I appreciate their friendship the whole way through. Overall, this was a really enjoyable read. 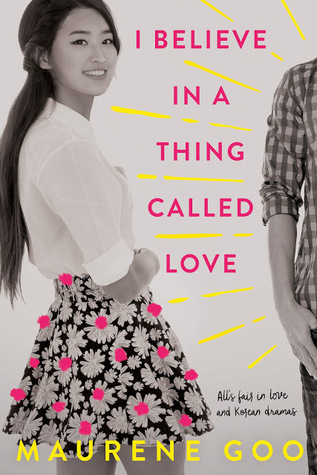 It was fun and light, and I recommend it to anyone looking for something that is a quirky, cute contemporary. Hello and happy Sunday! This has been quite the week full of surprises, tragedy, and coming together to take a stand. With that being said, I think the best way we can always participate is through educating ourselves in various ways — books being one of them! ****This book was sent to me for an honest review from the publisher! Anyone passing through North Shore, IL, would think this was the most picture-perfect place ever, with all the lakefront mansions and manicured hedges and iron gates. No one talks about the fact that the brilliant, talented kids in this town have a terrible history of throwing themselves in front of commuter trains, and that there’s rampant opioid abuse that often leads to heroin usage. 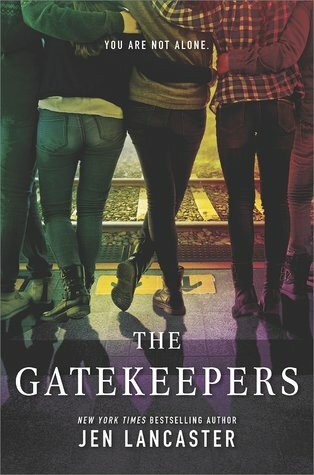 Meet Simone, the bohemian transfer student from London, who is thrust into the strange new reality of the American high school; Mallory, the hyper-competitive queen bee; and Stephen, the first generation genius who struggles with crippling self-doubt. Each one is shocked when lovable football player Braden takes his own life and the tragedy becomes a suicide cluster. With so many students facing their own demons, can they find a way to save each other—as well as themselves? Inspired by the true events that happened in the author’s home town. The best part of this book was getting to know the different characters and their different voices. However, I felt that the author tried a little too hard with trying to get the right slang for a teen’s voice and some of it felt cinematic in that it was a bit forced and not genuine. I liked the plot as a whole in general. The kids come together and form a strong bond through shared experiences, and Simone is a grounding voice that ties them all together. The seriousness of the subject is one that is hard to tackle, and I felt that it more or less conveyed the message that Lancaster. My major hang up on this book as a whole, however, was the different characters and how they just didn’t really represent a teenager (i.e. their slang). Important things were highlighted throughout the book. I liked how Lancaster didn’t just focus on the pressure cooker kind of environment of the students’ lives, but also their own mental health. She showed that while environment can play a big role in one’s mental health, there are other things that factor into it. With that said, I can’t speak personally about mental health and how well this boat represents it. Hey all! Welcome to my stop on the tour for the awesome book The Memory Trees! Let’s get started. The Memory Trees is a dark magical realism novel about a mysterious family legacy, a centuries-old feud, and a tragic loss that resurfaces when sixteen-year-old Sorrow returns to her mother’s family orchard for the summer. Sorrow Lovegood’s life has been shaped by the stories of the women who came before her: brave, resilient women who settled long ago on a mercurial apple orchard in Vermont. The land has been passed down through generations, and Sorrow and her family take pride in its strange history. Their offbeat habits may be ridiculed by other townspeople—especially their neighbors, the Abrams family—but for the first eight years of her life, the orchard is Sorrow’s whole world. Then one winter night everything changes. Sorrow’s sister Patience is tragically killed. Their mother suffers a mental breakdown. 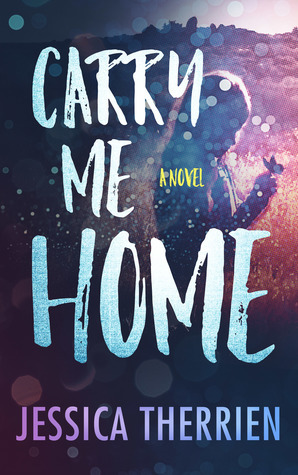 Sorrow is sent to live with her dad in Miami, away from the only home she’s ever known. Now sixteen, Sorrow’s memories of her life in Vermont are maddeningly hazy; even the details of her sister’s death are unclear. She returns to the orchard for the summer, determined to learn more about her troubled childhood and the family she left eight years ago. Why has her mother kept her distance over the years? What actually happened the night Patience died? Is the orchard trying to tell her something, or is she just imagining things? 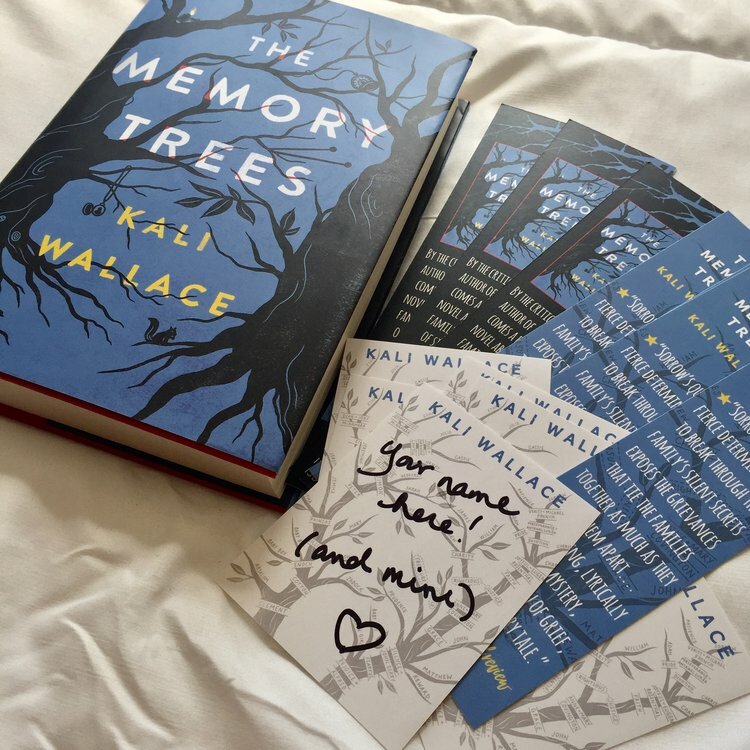 There is a preorder giveaway: anybody who preorders by 10/10 can get a signed bookplate and some bookmarks if they send an email to thememorytrees@gmail.com. Kali Wallace studied geology and geophysics before she decided she enjoyed inventing imaginary worlds as much as she liked researching the real one. Her short fiction has appeared in Clarkesworld, F&SF, Asimov’s, Lightspeed Magazine, and Tor.com. Her first novel, Shallow Graves, was published by Katherine Tegen Books/HarperCollins in 2016. Her second novel, The Memory Trees, will follow in 2017. She lives in southern California. I would do anything — anything, up to and including sacrificing limbs and/or organs — to write a screenplay for the Laika stop-motion animation studio for one of their breathtakingly beautiful movies. It’s not a filmmaking style that fits all stories, but the stories they do tell — creepy, adventurous, slightly dark and a little odd, with humor too –is precisely the kind of story I love most. Call me, Laika! I’ve got ideas! Thanks for hanging with us today. Make sure to stop by the other tour stops up to the release date! Hey guys! I’m here one the second to last day of this awesome tour to help bring you ALL THE WIND IN THE WORLD by Samantha Mabry. Sarah Jacqueline Crow and James Holt work in the vast maguey fields that span the bone-dry Southwest, a thirsty, infinite land that is both seductive and fearsome. In this rough, transient landscape, Sarah Jac and James have fallen in love. They’re tough and brave, and they have big dreams. Soon they will save up enough money to go east. But until then, they keep their heads down, their muscles tensed, and above all, their love secret. When a horrible accident forces Sarah Jac and James to start over on a new, possibly cursed ranch called the Real Marvelous, the delicate balance they’ve found begins to give way. And James and Sarah Jac will have to pay a frighteningly high price for their love. Samantha was born four days before the death of john lennon. she grew up in dallas, playing bass guitar along to vinyl records in her bedroom after school, writing fan letters to rock stars, doodling song lyrics into notebooks, and reading big, big books. she spends as much time as possible in the west texas desert. A FIERCE AND SUBTLE POISON (Algonquin Young Readers, spring 2016) is her first novel. This book will hook you from the first page. It’s full of beautiful characters and a gorgeous setting. I think what I loved most about it was the unreliable narrator. This is harder to accomplish because it involves a lot of carefully planted and thoroughly orchestrated planning on the author’s part. The narrator must establish a certain amount of ethos with the reader so when it slowly begins to show cracks you are unsure of your own judgement as a reader. So exciting! The setting of the book is mostly on the ranch The Real Marvelous. This ranch is mysterious and thought to be of as cursed. The longer Sarah and James stay on the ranch the longer you delve into its secrets. I love the air of mystery and arid feeling you get throughout the entire book. It lends itself to the plot really well. My favorite character was definitely Sarah. I am becoming more of an advocate for unlikeable female characters. Women are looked at so differently in literature, and I think it’s time to change that. Sarah makes bad decisions. She makes good ones. The consequences of her actions are severe, and she still is able to deal with them (somehow). I admire her strength and unapologetic nature. I wanted to punch James about half way through the book. You will understand me once you read the book, but since I am a spoil-free reviewer, I must say nothing more on the subject. However, his character as a whole was interesting to see develop. He was portrayed a lot as a goody goody, but his flaws shone in the end. Overall, this was a book rich in detail, character development, and setting. I was engrossed in it all weekend when I read it, and I can’t wait for you guys to get your hands on a copy!